Suspense, Love, Murder, Revenge. An elegant dinner party is thrown, the guests blackmailed, the host absent. The mysterious host has gathered together all those whom have wronged him in his life with the intent of seeking his revenge. But the suspicious young man in the worn tweed jacket anxiously fingers a gun in his pocket, waiting for The Host to arrive. 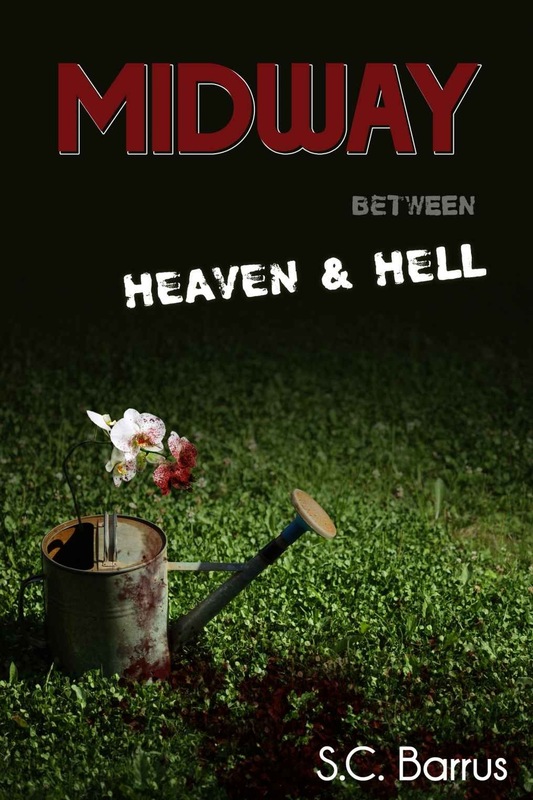 Cozy up on the couch, grab a gin, and replace your weekend movie with “Midway Between Heaven & Hell” for and hour and a half of suspense! A well paced intriguing short story dripping with emotion and character. I don’t often get asked to review short stories but I liked this one and would have happily read it as a novel. The Host and his loss are palpable, the symbolism is haunting. It took me half an hour to read it, a wonderful half hour it was too. This promising new author has a voice and I look forward to hearing more from him. Thanks so much for the review. I’m glad you enjoyed the story and took the time to share it with other. You’re very welcome. It was a good read!